Opening Friday night in Wellington is Peter Ireland's exhibition, Return of the Native - Imagining Katherine Mansfield at Gilberd Marriott Gallery (1st floor, 37 Courtenay Place). The exhibition features 12 paintings relating to the influences on and of Mansfield in New Zealand and her displacement from her birthplace. The works will be online on Peter's website midday Friday. A 'hidden' work. 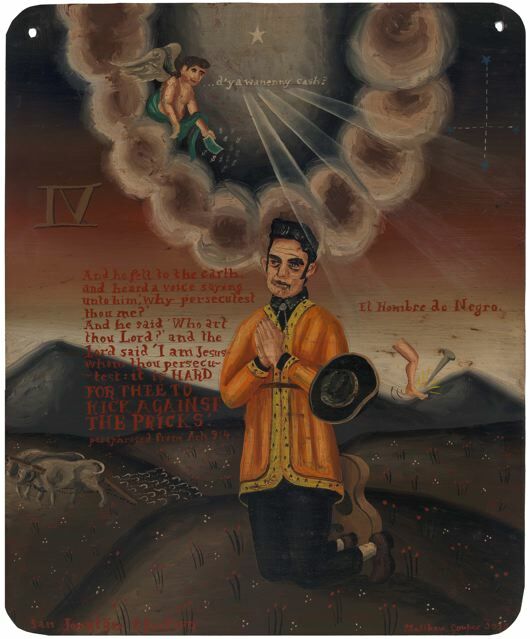 A retablo about Johnny Cash. Hidden, as it's a work that has and will never be exhibited.